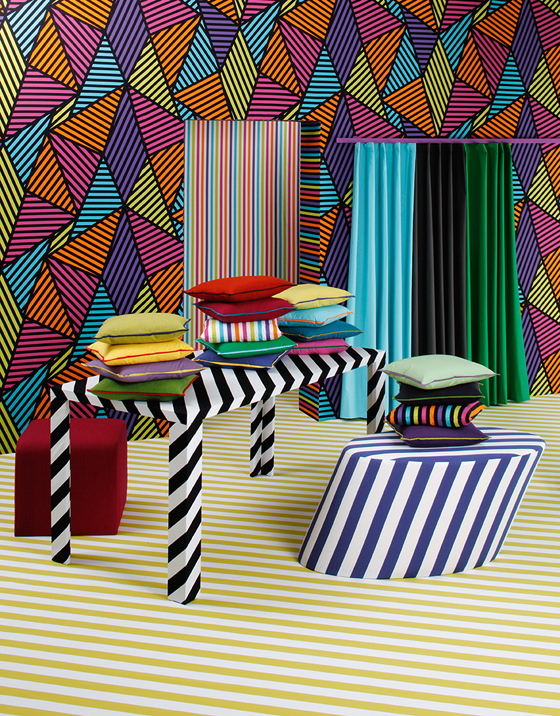 If you think textile design is, well, a little two-dimensional, think again. 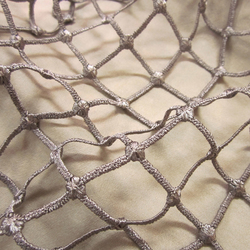 Contemporary producers of high-quality woven materials for interiors are busy exploring all sorts of innovative directions in terms of materials, processes and applications. And that’s no flannel. 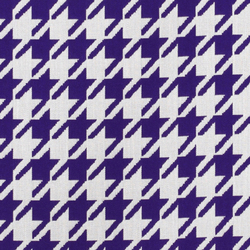 Long before there was industrial design or what we would now more often refer to as product design, there was the design and production of textiles. The activity of producing fabrics through the weaving together of yarns has been around for millennia, across a diversity of cultural contexts. 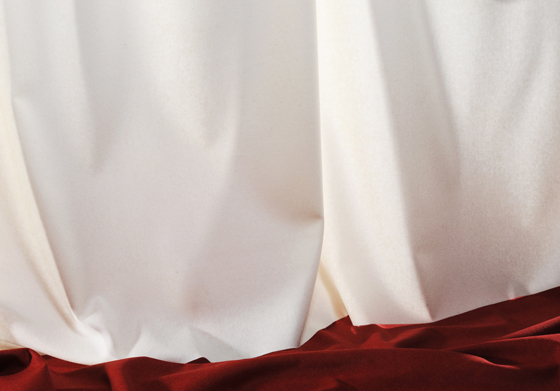 It’s one long, continuous thread, as it were, in the history of human making. Given the ubiquity of, and enduring need for, textiles – for warmth, comfort, privacy, the display of social standing and wealth – it’s little surprise that their production was a key driver in the phenomenon that was the Industrial Revolution. 1764 saw English carpenter James Hargreaves invent the ‘Spinning Jenny’, a multi-spool, mechanical spinning frame, transforming textile production from cottage industry to factory-located, high-volume manufacturing. But that was then. And is this now. 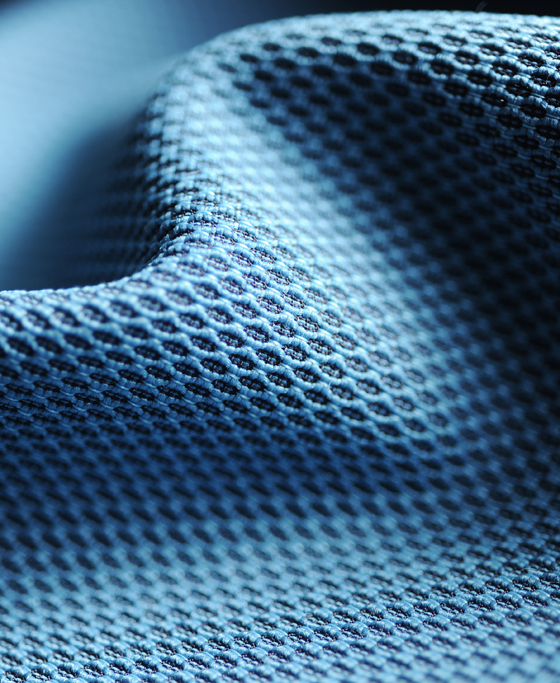 A number of contemporary manufacturers of textiles are embracing innovation once more, adopting a range of clever approaches to creating fabrics through an exploration of new materials or material combinations, new technologies and processes, and new applications. They may be for the most part flat, but the latest high-end textiles for interior use aren’t taking things lying down. 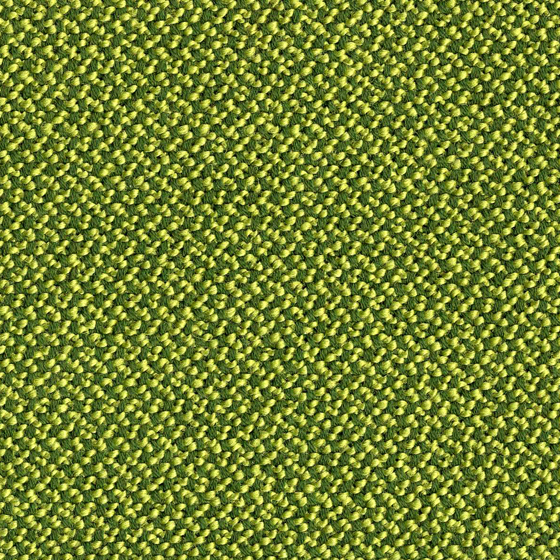 Among the Swiss textiles manufacturer Création Baumann’s new collections shown at this year’s imm cologne fair were a range of high-performance products that combine quality making with utilitarian function. 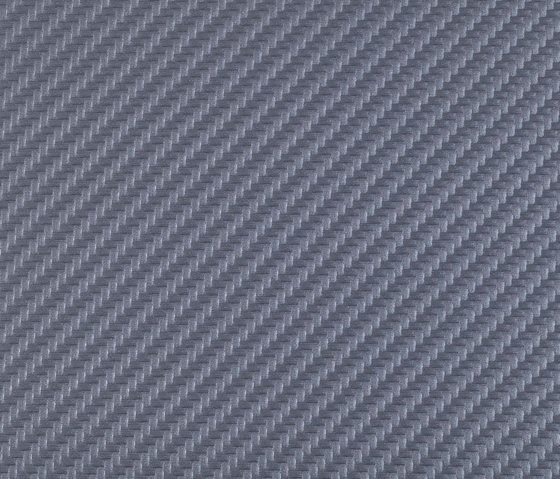 ‘Alphacoustic’, made of Trevira CS and available in 16 colours, features a translucent weave that’s easy on light, but tough on sound. 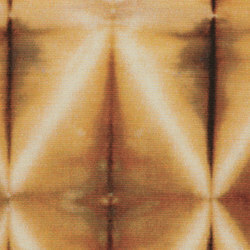 Its absorption qualities of αw 0,6 - 0,65 make it a true sound sponge. 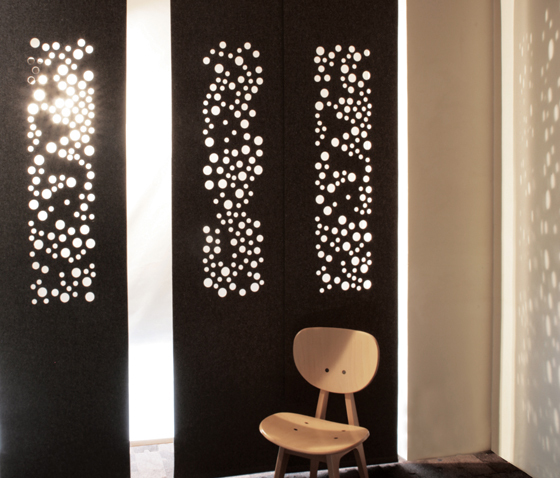 Meanwhile, ‘Dimmer Sky’, as its name might suggest, complements Creation Baumann’s existing black-out collection, yet, with its laser-cut perforations, allows the minimum of daylight penetration, creating a highly graphic form of illumination. 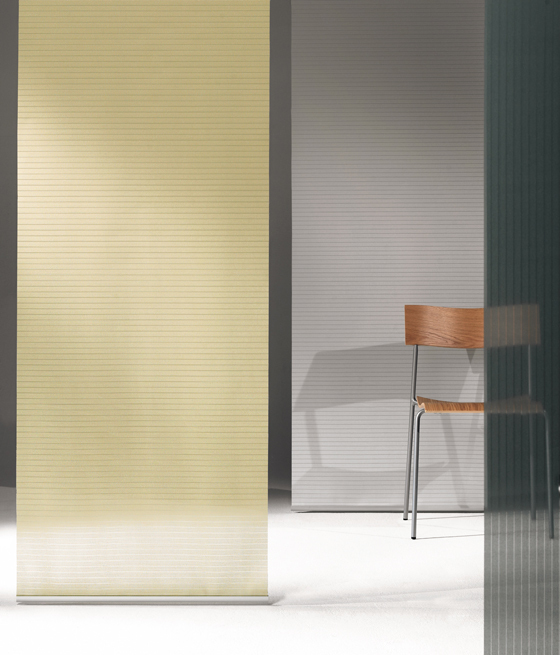 The ‘Copenhagen Colours’ collection by Steiner doesn’t brook any kind of hole, but, made of 100% Merino wool that’s woven using a very fine yarn, it possesses a high translucency, meaning natural light is never barred from an interior, even when the curtains are drawn. 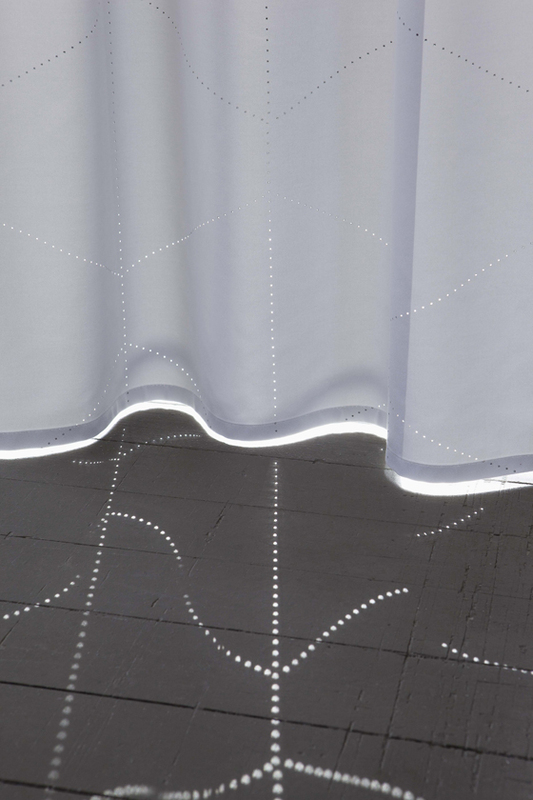 ‘Cinq’, part of Svensson Markspelle’s ‘Ups and Downs’ family of textile products, is a fabric (woven from Trevira CS) that, in functioning as a screening device, also allows light to pass through it. What’s more, it performs well as a thermal shield. According to tests, ‘Cinq’ can lower air-condition costs by up to 25%. 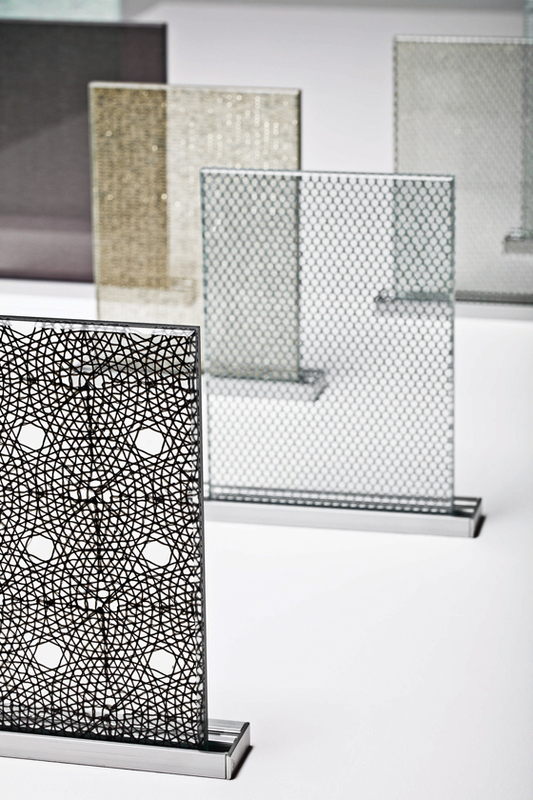 Screens of a different kind were on display at Nya Nordiska’s stand at the recent Cologne Furniture Fair. 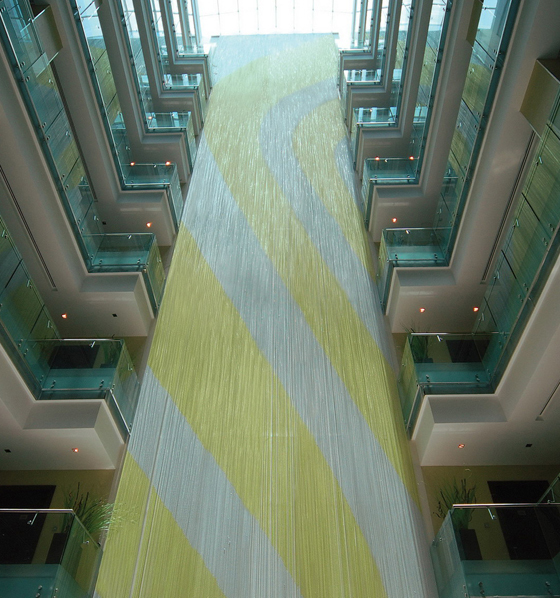 The international textiles brand has launched an innovative range of textile-glass laminates. 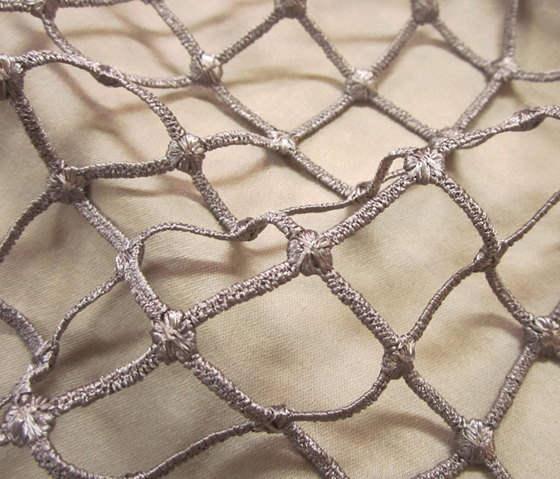 Called ‘Tex Glass’, this patented method of glass production involves sandwiching carefully selected textiles between two sheets of specially prepared, ultra-clear diamond glass. Applications include partitions, doors and table-tops. 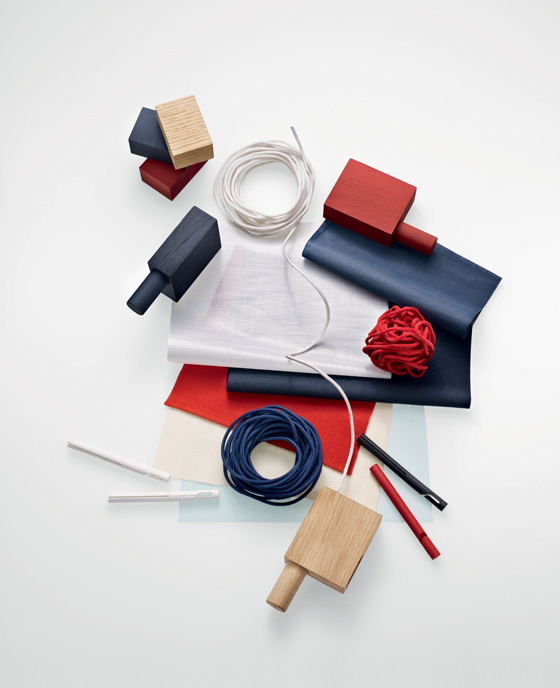 Forward-thinking Danish textiles company Kvadrat launched a new plug-and-play product at this year’s imm cologne, designed by the celebrated French design brethren Ronan and Erwan Bouroullec. ‘Ready Made Curtain’ is a curtain system that’s sold in kit form, where the end-user executes the product’s installation within the home him- or herself. This is high-quality, but pleasingly low-tech, stuff, where you can’t be too precious about things: taking a pair of scissors to the drape (which comes in either a paper-like material or a fine wool) to achieve the right length is all part of the experience. A steady hand achieves a precise finish with no fraying. Swiss manufacturer Christian Fischbacher’s new ‘Urban Nomad’ collection, beyond the non-Western references it makes on an aesthetic level, also intrigues materially. 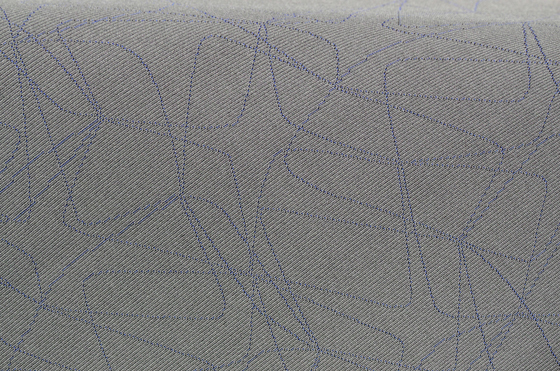 A batik-like pattern derived from ‘itajime shibori’, a traditional Japanese dyeing technique, is printed onto a thoroughly modern, flame-retardant Trevira CS fabric. 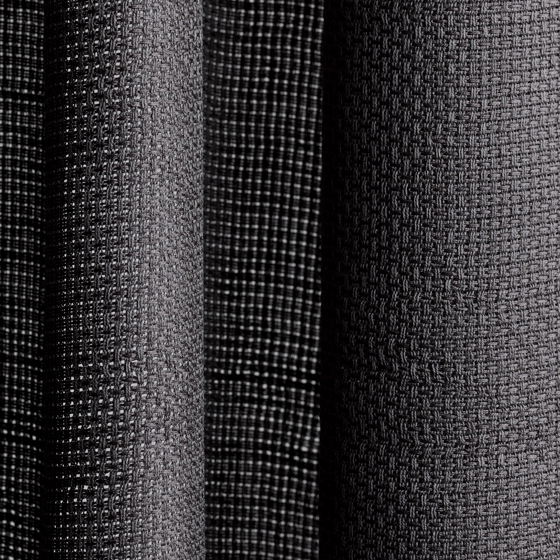 Equally high-performing are Belgian brand Buvetex’s Senta Trevira CS collection and Italian producer Dedar’s ‘Zeus’ fabric, which possesses all the tough qualities of Trevira CS, but is woven and dyed in such a way as to look and feel like natural linen. 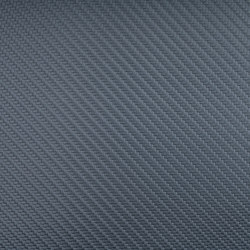 Coated-fabric specialists Spradling’s ‘Carbon Fiber’ range, meanwhile, with its textured weave and vinyl topcoat, marries a restrained range of colours with extreme durability. 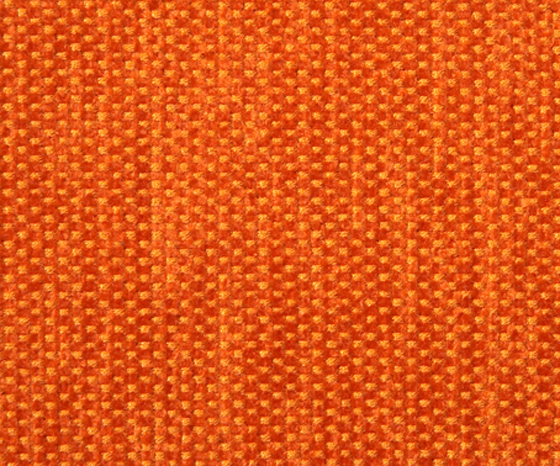 Further forward-thinking textile products include Rohi Stoff’s ‘Credo’ range, a heavy crepe woollen weave that uses matt and gloss yarns to create a 3D surface full of light contrast, and Climatex’s ‘Dualcycle Net’ collection of fabrics, ideal for upholstery, whose special weave structure absorbs and then evaporates moisture. 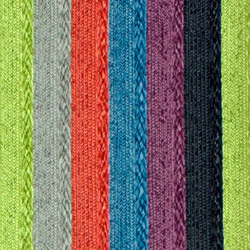 Dutch brand Innofa, on the other hand, uses an innovative weaving technique to create a series of wool-rich products that are highly stretchable and provide good sound absorption. It’s all down to a special looping technique. 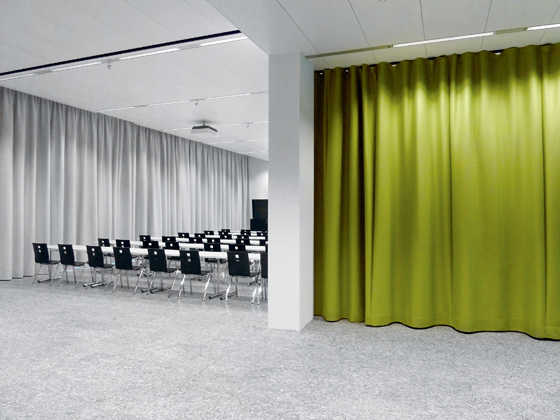 Loops of a different kind – metal linked with metal – are the foundation, however, of Kriska Décor’s offering: space-defining metal curtains, made of lightweight anodised aluminium, which provide large-format surfaces for all sorts of graphic application. 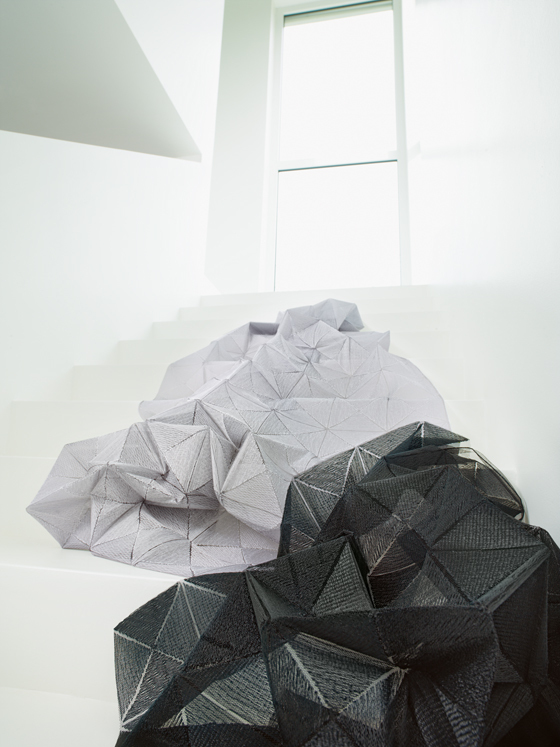 Among other new products presented by textile manufacturer Zimmer + Rohde at this year’s imm cologne was its innovative ‘Origami’ fabric, which breaks the bounds of the two-dimensional with its clever, semi-rigid structure. 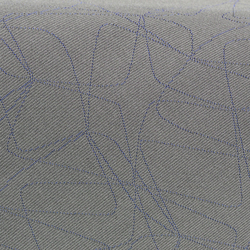 A base layer is embroidered and then heated, causing the two materials to bond and acquire a certain stiffness. 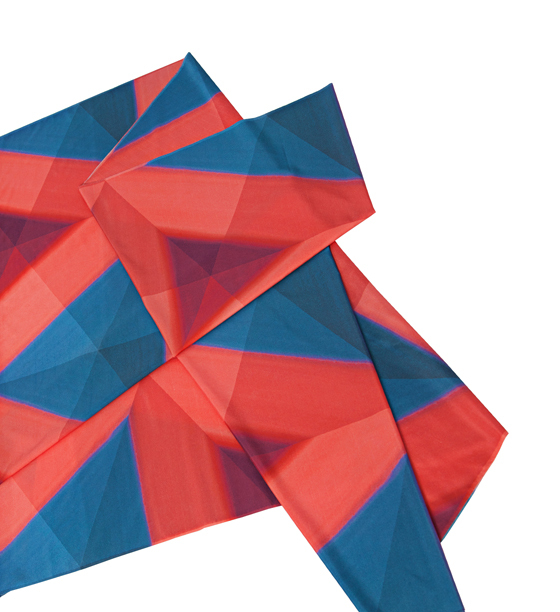 The result: a flat fabric that readily falls into pleasing folds and invites all sorts of 3D configuration. 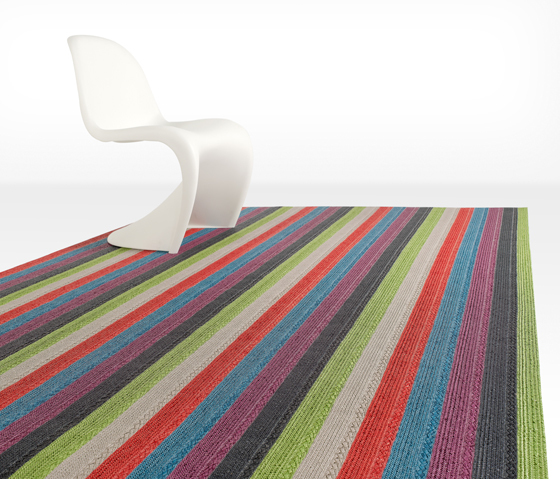 Innovation, too, from Carpet Concept in the form of their ‘next Gen’ range of woven floor coverings, which uses parametric models in the development of the products. Mathematical models are used to determine width sizes, cutting edges and repeat patterns, while a cue is taken from these logical processes in creating the carpets’ pleasingly mathematical graphic motifs. 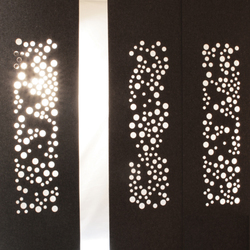 Pattern can also be created by removing material as well as adding it, of course, as demonstrated by Lily Latifi’s ‘Bubbles’ product family, which employs laser-cutting to create fabric panels that, when put to work as blinds, curtains or sliding panels, produce a striking series of light effects. 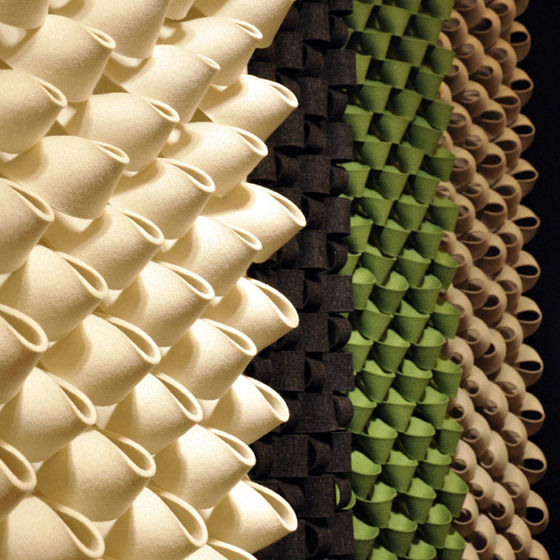 Drama can also be found in London-based Anne Kyrro Quinn’s compellingly sculptural acoustic wall panels, which operate beyond their sound-regulating function as a macroscopic take on the construction of fabric itself. 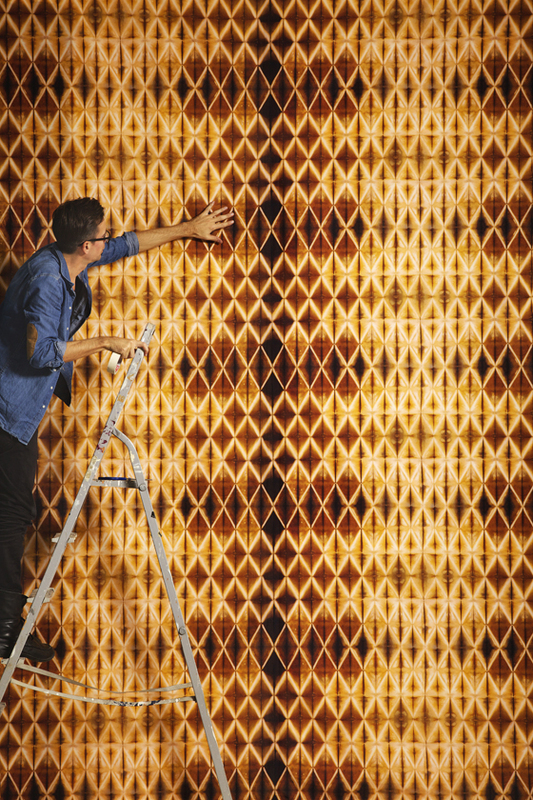 Made of felt (which in itself isn’t a woven material, but does possess impressive ecological credentials), the three-dimensional panels feature loops and folds that speak of the joining of fibres. 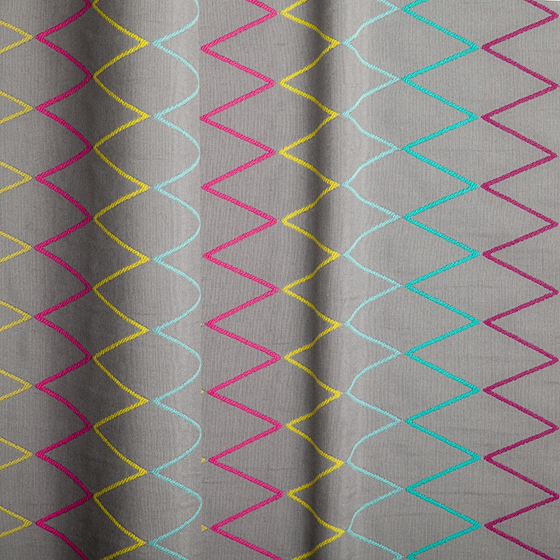 Geometry in textile design in terms of pattern is nothing new, but as a current trend is certainly worth a second look. Presented for the first time at this year’s imm cologne, German textile brand Kinnasand’s new ‘Unfold’ collection brings together special printing techniques, new textures and unexpected material combinations, such as washed silk with a cotton batiste lamination, to produce fabrics with depth and strong graphic, almost three-dimensional expression. 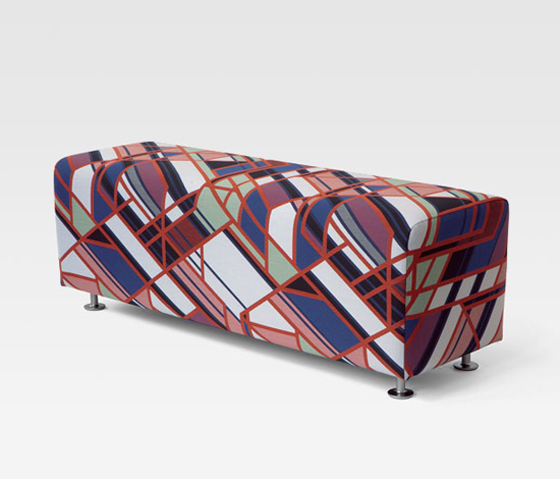 Emphatic geometric composition can also be found in Maharam’s new arresting ‘A Band Apart’ fabric, designed by Sarah Morris, which, woven from polyester and cotton, lends itself as an upholstery material to statement furniture pieces. 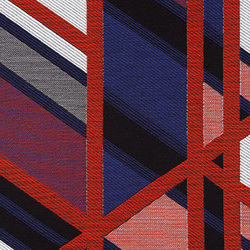 Nya Nordiska’s new ‘Creative Concept’ family of textiles is equally unequivocal in terms of its geometric expression: strong lines, combined with acid colours make for a highly structured graphic presence. 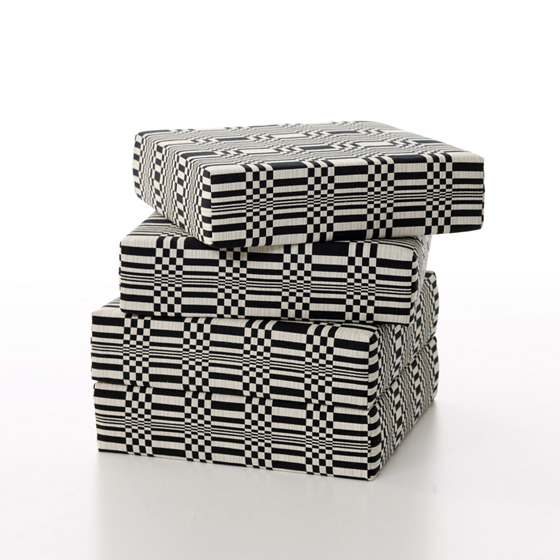 London and Barcelona-based designer Cristian Zuzunaga has proved with his new ‘Bitmap’ family of textile products his continued, concept-driven commitment to process and pattern that’s rooted in the interface between the analogue and the digital. 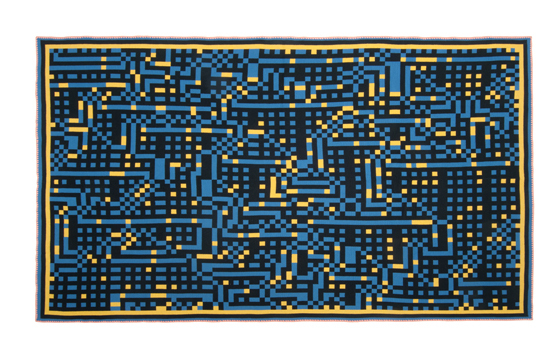 Following on from his well-received ‘Pixel’ collection of fabrics, his new products, which include a set of blankets, once again uses abstracted digital images of cityscapes as the starting point for creating unique techno-derived motifs. 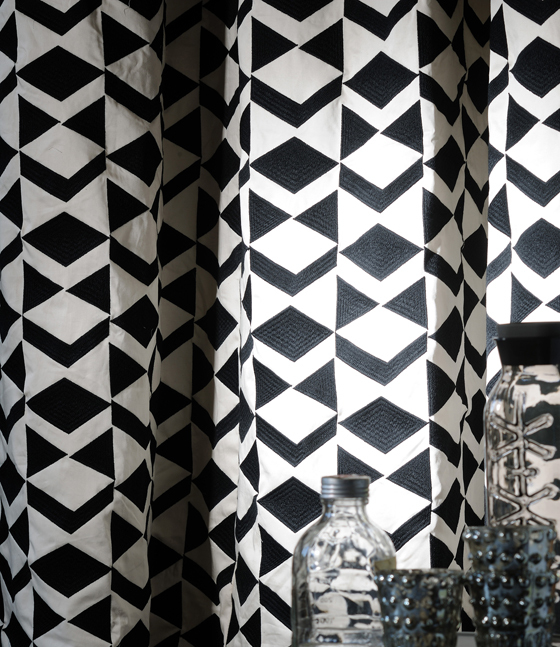 Geometry rules in Elitis’s ‘Mahjong’ collection of fabrics, made of embroidered cotton satin, as well as in Johanna Gullichsen’s ‘Doris’ fabric from her ‘Normandie’ collection. 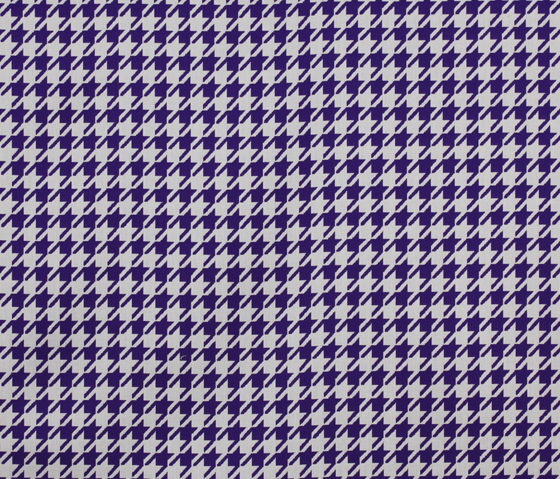 Saum & Viebahn’s new ‘Limbo’ collection of ziggurat-patterned materials also celebrates the visual impact of sharp linear composition, while Sunbrella’s gives new life to a classic: its ‘Jacquards’ family of fabrics revisits the classic houndstooth check, introducing a sharp and contemporary colour palette. 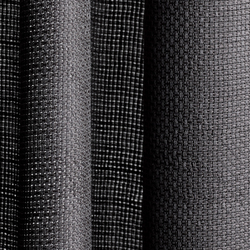 A check of a different kind, meanwhile, can be found in the form of Equipo DRT’s ‘Copelia’ mesh fabric from its ‘Sheers’ collection. 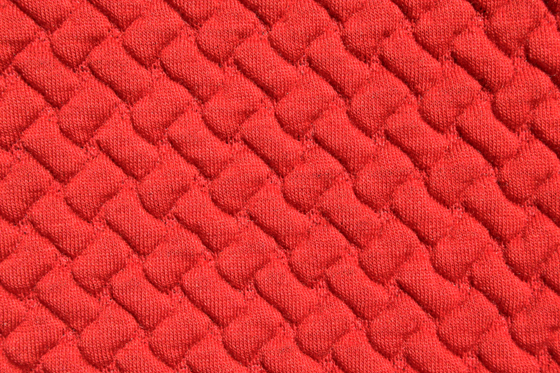 Precision needlework creates a strongly geometric field, which is as much about the absence of material as it is about its presence. Holey moley, you might say.